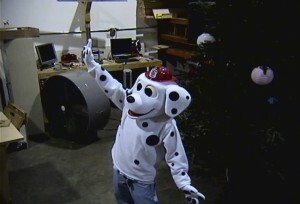 Many thanks to FamiLAB for providing the great space where I could create “Sparky” the dalmatian for The City Of Casselberry. 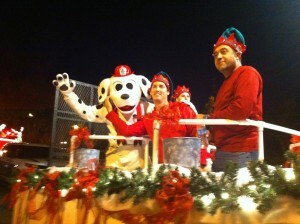 Sparky joined the city’s holiday parade along with elves, floats, reindeer and Santa. Music was playing and all the lights were flashing in the evening sky as the parade was escorted by the police and fire department. For three exciting nights The City Of Casselberry along with their new mascot “Sparky” spread holiday cheer throughout the city. Sparky was a big hit as he gave out candy and dog treats. The gala concluded with the parade making a special stop to visit very special children. 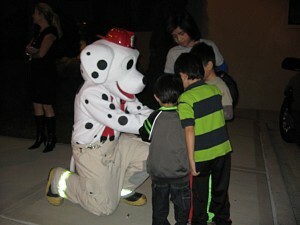 Sparky stops to give out candy and greet children. Pat Starace is an animator and animation pipeline solution provider.